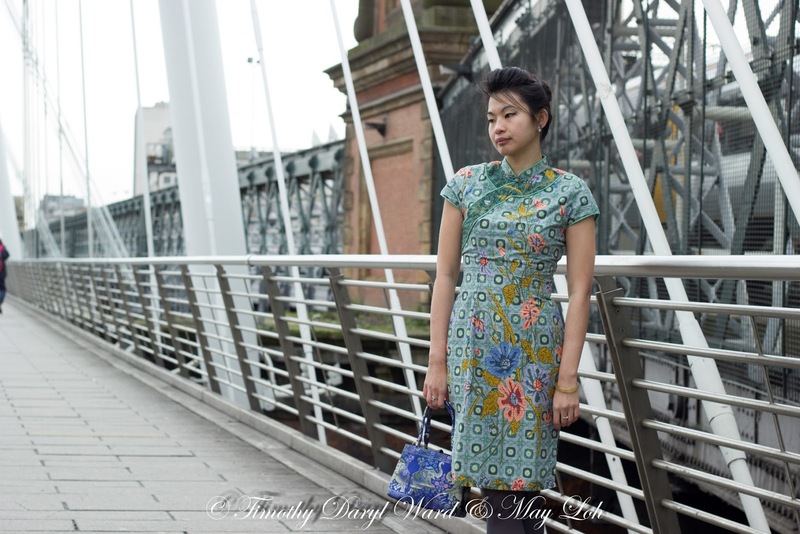 LookS: 'Qipao Love' Part 6 ~ In the Mood for Qipao...with a Batik 50s twist! 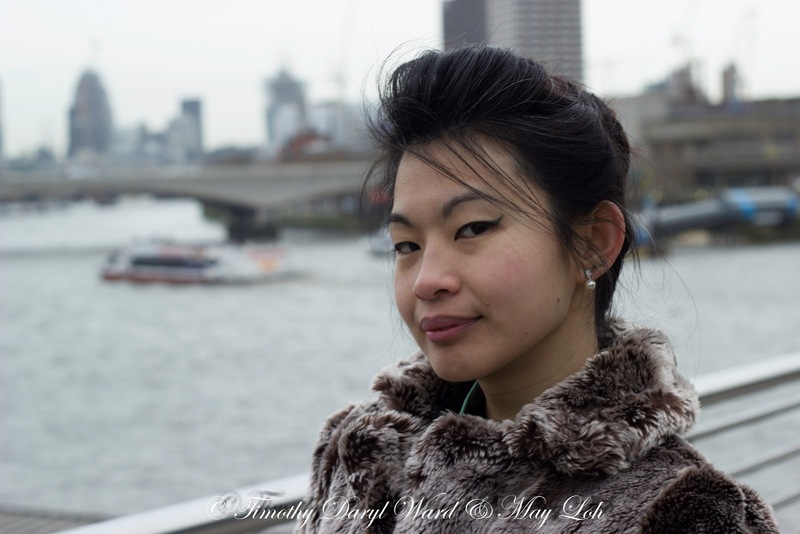 Think Elizabeth Taylor, Grace Kelly, Jackie Kennedy or even a young Queen Elizabeth II meeting Anna May Wong...and you might know where I am going with this look...with some vital inspiration from the movie 'In the Mood for Love' of course. In fact, this is actually the first time I attempted a proper bouffant...though I was weary of creating an exact copycat look of the beautiful Maggie Cheung in the movie and almost went for a beehive instead when planning the look...I am glad I opted for the bouffant in the end even with the early 6am wake. And yes...we are indeed talking about hair! There is a fine line between the bouffant and the beehive as both hairstyles involve teasing the hair to a height...but to me the bouffant is more girlishly playful with the allowance of curls, waves or pin-curls to put the spotlight on to an understated dome-like volume of hair, whilst the beehive is a straight-lined or cut to the chase overly raised hill-like height crowning the top of the head in a modern assertion of 'devil-may-care' female confidence. 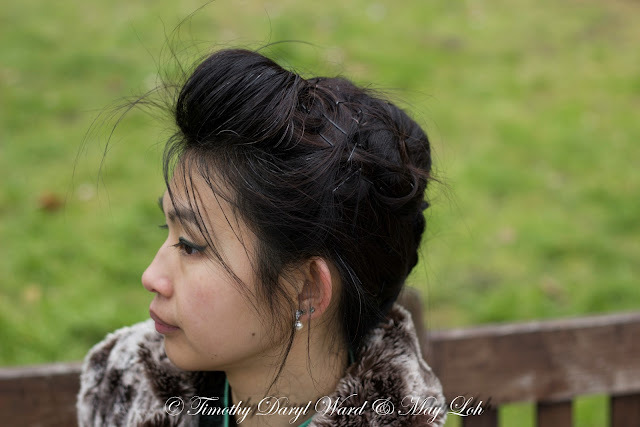 The feminine bouffant up-do with pin-curls that I whipped up as best I could hopefully fits the late 1950s inspired Qipao (Cheongsam) look I was looking to create...as I wanted a style that would complement rather than take the focus away from the dress. After all it is a rather unique dress! 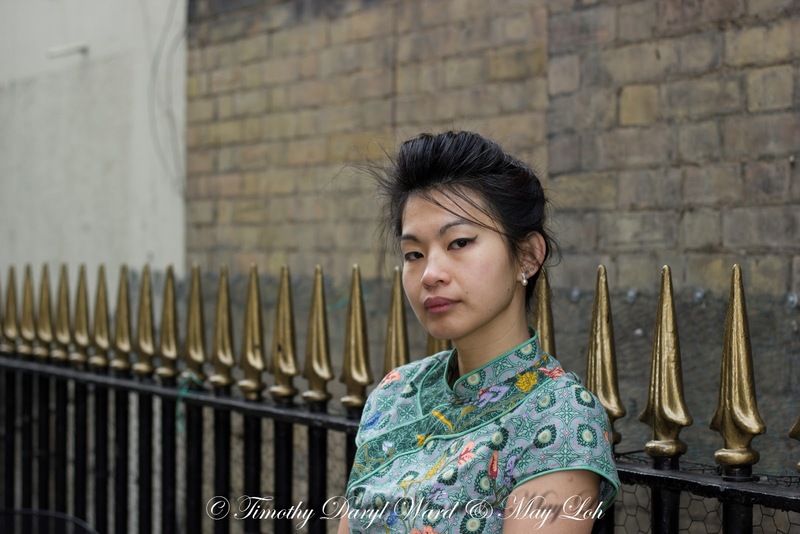 Having loved the Qipao for some time and knowing that it is a garment capable of revealing an inner world of the wearer, I was still missing a piece that reflects the Malaysian influence in my background...so a Batik Qipao was the perfect new attire! The Qipao being a traditional attire with a historical tribal influence fits in well with the origins of my Chinese Hakka tribe ancestry, whilst the Batik fabric made through the use of hot wax and dye to create beautiful painting of prints on cotton-like fabric is famous as well as traditional for South East Asian countries like Malaysia and Indonesia. 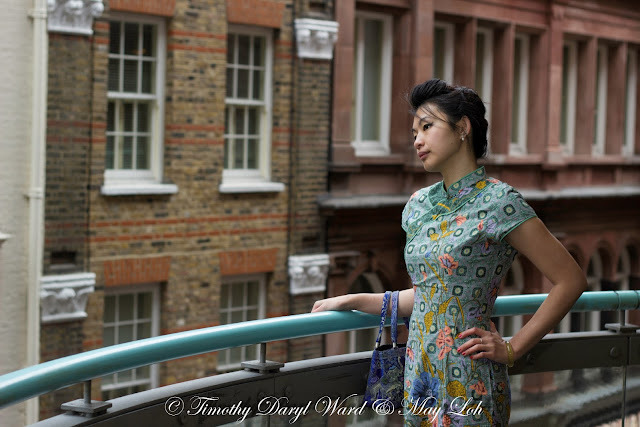 In fact, at a time when the cultural revolution took place during the 1950s, the Qipao disappeared from daily wear in China but flourished in parts of South East Asia and other countries with Chinese migrants...where Chinese women still considered the Qipao as lovable daily attire with variations of fabric from linen to silk. This is also why most of the female characters of the famous 'In the Mood for Love' movie can be seen wearing a Qipao, whether the location was set in Hong Kong or Singapore the Qipao was fashionable daily wear for most women right through to the 1960s. Though my heritage is strictly more Chinese Hakka and not linked to Nyonya, it is the bit of memory where I watched a video of how the Batik was printed on a museum school trip whilst I spent a few years of my childhood in Malaysia that links me to this regional fabric. The Malaysian Batik is distinctively focused on vibrant flowers and leaves or butterfly prints in a spiral-like swirl across the fabric, which shows through almost clearly on the underside of the fabric because of the way it is printed. Some of you darlings may remember me mentioning that this was the very first time I purchased a Qipao through the new trend of specialised online blog shops. I inquired about stock availability after spotting a navy and gold Batik Cheongsam, but my size was not in stock and since Batik fabric is often produced in limited quantities, an exact dress in the same print was hard to find when out of stock. The seller of the 'Little Cheongsam Shop' (Link) kindly offered to find me another dress according to my preferences, and within two days she found a selection of Batik Qipao for me to choose...it was then when I fell in love with this simple green Batik number. Payment was arranged and I had it shipped to Singapore so that my sister could bring it to me when she came home for Christmas...once I got my hands on it, I started working with my needle to alter the dress into a fitted hourglass silhouette; which was often how a Qipao or Cheongsam would be worn in the 1950s to 1960s. 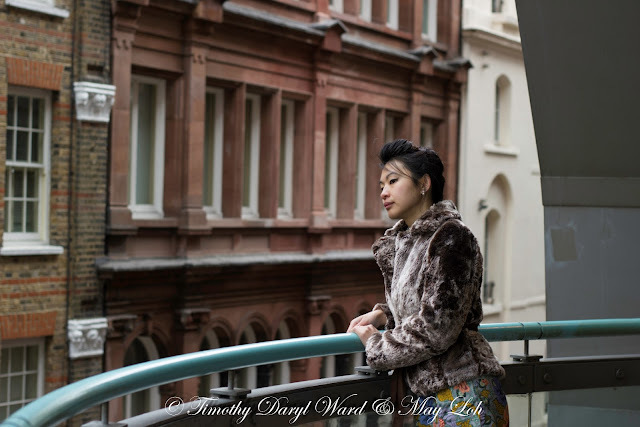 The photoshoot was done with my photographer friend Timothy Ward, from Timothy Ward Photography, you darlings who have been following may remember him from his brilliant work on my 1920s inspired Qipao look in Part 3 of my 'Qipao Love' series! 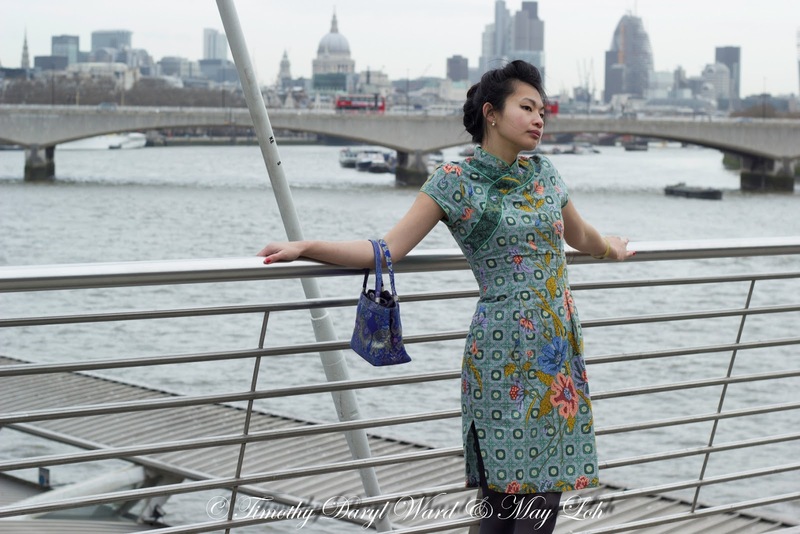 Indeed Chinese New Year is probably the most likely time you can spot a Qipao (Cheongsam) out and about...it is probably my favourite time to make every excuse to wear a Qipao too. How are you darlings celebrating the beginning of the year of the fire Snake (2013)? For Chinese families like mine, a mixture of food, laughter and family is really the highlight of the festival because of the traditional emphasis on family unity...with an added plus of donning the Qipao for me of course! Since the beginning of this 15 days celebration kicked off with me trying to be over ambitious...from trying to stay up all night to follow the ancient tradition of wishing for my parents longevity through the sacrifice of sleep and using the time to finish this post in hope of publishing on the first day of Chinese New Year, but ending up asleep in bed with my laptop rested on my lap...to trying to attend a surprise birthday gathering for one of my lovely girlfriends Amancay on the first day of Chinese New Year but not making it in the end...I really hope that the effort of trying will at least be something positive to add to the new year. Perhaps it is even a sign that I should pace myself and avoid planning too much in the year to come...or perhaps a concoction of surprised intuition, belief in the beauty of goodness and dedication in trying the best one could will be a more fruitful plan for the year ahead. Here's wishing all you lovely darlings, on this cracking second day of Chinese New Year, an utterly fabulous year of the fire Snake 2013 ...may you always be blessed with happiness, good health, love and good fortune! love this post, it is really interesting! Thank you for stopping by and leaving me some lovely words sweety! Now following your interesting blog! I truly admire your depth of known about these classic Chinese garments and the volume that you've written on them. I've learned so much and enjoyed every last photo, very much including this arrestingly lovely set. You look gorgeous, positively gorgeous, in a palette of aqua, teal, saffron and pink. Awww....you are such an artist with words my dear! Thank you for your lovely and kind praises...and I am glad you are enjoying the Qipao Love series...it has sort of spiraled into a life of its own really! Happy weekend my fabulous doll! Thank you Tracie! Glad you liked it! :) Will be getting more Batik Cheongsam from you next time! 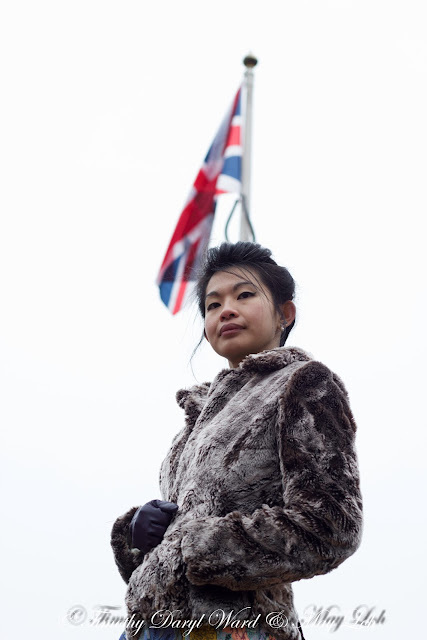 Theres no doubt ure the QUEEN OF QIPAO! Even I think u beat Maggie Cheung with ur extensive collection!! Keep doing it what u do best!! so much insights taken from your post everytime. Thank you my lovely...that is so kind of you to say...so glad you are enjoying the Qipao Love series! Hope you have had a fabulous Chinese New Year! Thank you my lovely! Glad you like the post. It was much colder than it looked in the photos and I was shivering at the end of the shoot, but I enjoy being creative and wearing a Qipao! So all was well. wow another beautiful qipao!!!! it is absolutely gorgeous, i love the rich colous on it and you styled it to perfection! tights, shoes and that coat! absolutely flawless style darling! Thank you so much my dear! You are too sweet! Thank you my dear! 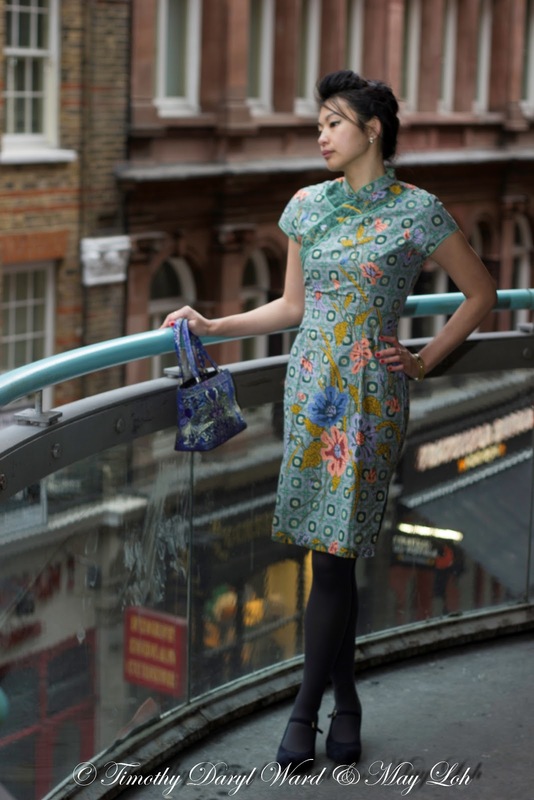 I think you would look beautiful in a Qipao...and its a great investment piece that never goes out of fashion! wow May, you're so stunning in each and every one of these shots! Timothy did a fab job. can't wait till we can hang our coats up for the season and have bare arms exposed without shivering!! perhaps i'm appreciating it even more b/c our weather's been drizzly and grey lately. Thank you so much my lovely! Timothy did brilliantly! I know what you mean as I am looking forward to Spring...so glad you like the dress and the post! 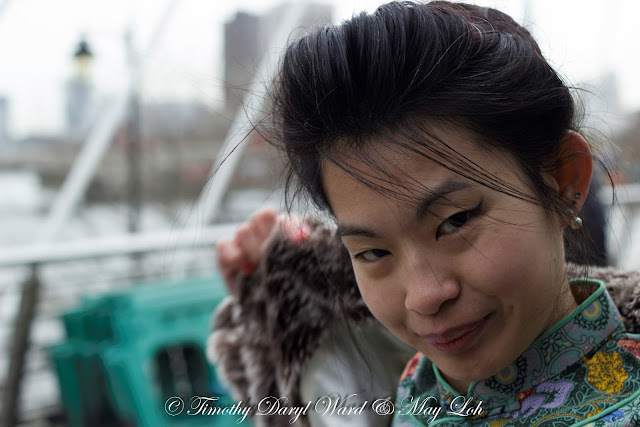 In the Mood for Love is such a gorgeous film, I love your own take on Maggie Cheung's look! Thank you my dear...so lovely of you to stop by! Beautiful pictures!! Love your look--absolutely gorgeous!